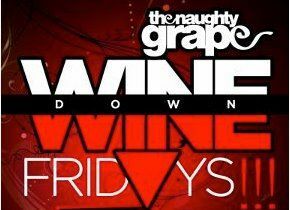 Friday, Feb 10, 4pm – 6pm: WINE DOWN FRIDAYS @ TNG! The Naughty Grape Store (Maraval) This week’s Wine Down Friday is a Wine Tasting (and Truffles Tasting courtesy of Gina’s Chocolate Truffles). “Yet another fantastic selection of wines to tantalize all tastes. Stop by this Friday between 4pm-6pm and enjoy wine by the glass @ $20.00.” Link to Facebook Flyer. Saturday, Feb 11, 9am – 12pm: CHINESE COOKING @ Wendy Rahamut School of Cooking* (San Fernando; (868) 653-1478). This is a demonstration class conducted by Wendy Rahamut and includes recipes’ handout. The cost is $400. *Please note Wendy Rahamut’s website has not been updated with the latest classes for 2012, however this class is on the schedule and was confirmed. Saturday, Feb 11, 9am – 3pm: CHEZ NOUS CARNIVAL SALE at Verandah Restaurant (Woodbrook) – “Exclusive vendors selling beautiful, unique and luxury items in a gorgeous private home.” Gourmet goodies will be available from Maison Du Chocolat Trinidad; DELICE Desserts; CRATE FOODS with their awesome Golden Apple Chutney, Garlic & Papaya Pepper Sauce and more; Gourmet Sauces by Ian Rooks; and DEL MANO pestos including the newest one – the divine Basil, Caper & Mint Pesto. Link to Chez Nous Website and Chez Nous Facebook Page. FREE ADMISSION. Feb 6 – Feb 18: KOBE (Beef) FESTIVAL at Prime Restaurant (Port of Spain). Featuring Japanese Red Grade A-5 Kobe Australian A-3 Wagyu. Dinner, Monday – Saturday from 6pm. Reservations (868) 624-6328, Debra. Links to Trinidad’s Cooking & Baking Classes and Food Festivals & Culinary Events in Trinidad & Tobago .